Pendula Swing Episode 1 – Tired and Retired is an episodic adventure RPG from Valiant Game Studio AB. It is inspired by TV series, set in a Fantasy version of the American Roaring 20s. Season 1’s protagonist is Brialynne, a once famous dwarven hero who is forced to interrupt her indefinite retirement on her idyllic island when she discovers that an important artifact has been stolen. Find your own way to solve the challenges you face and shape what kind of person you want to be in these times of great progress and radical changes. Unlock areas to discover the town of Duberdon, follow your favourite characters and solve your own burning problem. The game features an interesting main story arch that will spark your curiosity about the main characters’ life and dramas. 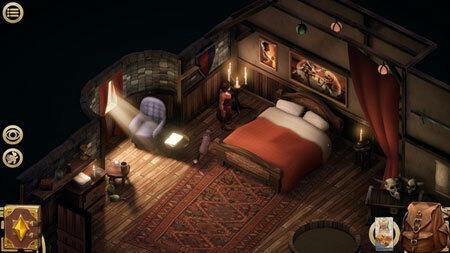 Enjoy the unrestricted exploration and discovery of a living town, filled with interesting people and complex stories. It’s up to you if you want to get involved. If you get stuck in the game, checkout the video walkthrough and gameplay for the game. This entry was posted in PC Games, Walkthrough and tagged Pendula Swing Episode 1 - Tired and Retired Cheats, Pendula Swing Episode 1 - Tired and Retired Game, Pendula Swing Episode 1 - Tired and Retired Gameplay, Pendula Swing Episode 1 - Tired and Retired Guide, Pendula Swing Episode 1 - Tired and Retired Hints, Pendula Swing Episode 1 - Tired and Retired Review, Pendula Swing Episode 1 - Tired and Retired Solutions, Pendula Swing Episode 1 - Tired and Retired Strategy, Pendula Swing Episode 1 - Tired and Retired Tips, Pendula Swing Episode 1 - Tired and Retired Walkthrough by Marvin. Bookmark the permalink.